What are the age ranges for a child on the swim team? The swim team is open to all children between the ages of 5 and 18.Children interested in joining should be able to swim the length of the lap pool (resting on the ropes allowed). If you or your family are full-season members of the pool, registration for one swimmer is $80 for each swimmer. We also offer a swim team membership rate, which only applies for swim team activities (practices, meets and team functions at the pool) until the end of the team season. The swim team membership is $150 for one swimmer, $225 for two swimmers, and $275 for three swimmers. 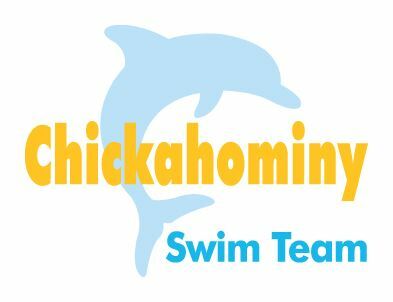 To join as a swim team member only, click here. Another cost is a swim suit (which is about $30-$60 if you choose the team suit depending on gender and size). Also goggles are a must, those can range from about $12 on up. What style is the team suit? The team suit for 2014 was the TYR Alliance T-splice Maxifit in navy blue and gold. You can find the suit at Disco Sports. If you are unsure about size, they will be able to fit your child at the store. Stay tuned for details about the 2015 team suit. Is the team suit required? No. The team suit is not required, but one in the same style and approximate color scheme (solid dark blue, or a different pattern of dark blue and gold) is highly suggested. Also, two piece suits for girls are not considered appropriate for swim meets, it needs to be a one piece. How often are swim practices? With the summer swim season being so short, we try to offer as many practices as we can to accommodate parents' schedules. Generally, before school is out on summer break, practices are held each weekday evening as weather permits. After school lets out for the summer, practices are held weekday mornings as well as afternoons. How many swim practices are required each week? There are no requirements for the number of practices a child attends. It is recommended that a child practice 3-4 times a week to get confident in the water and learn strokes. As with anything, the more practice the better the results. How many swim meets are we required to go to? There are no requirements for how many swim meets you come to. There are six total swim meets, three at CAA and three at other pools. They are held once a week, the first one is usually on a Sunday, the rest are on Monday afternoons. Each family should supply a volunteer for each meet they attend. We try to work with everyone and their family situation, many times the volunteer commitment will be for half a meet. We need to require volunteering because the whole meet is run by volunteer parents. How can I get the latest info on the CAA swim team, including cancellations and things? We have several forms of communication. We send out a lot of team emails, so having an current email address is the best. The pool also has a Twitter feed, @swimCAA, that we use. And now we have a text broadcast, which will send you texts if practices are delayed or cancelled. To opt in on that, text CAADolphins to 84483.